I'm not sure when I started liking cuckoo clocks. I know my grandma had one when I was a kid, and I always got a charge out of it. In case you weren't aware, cuckoo clocks have come a long way, baby. The cuckoo and clockface are confined behind plexiglass, and walnut-finished back gives a nod to the tradition of wooden cuckoo clocks. 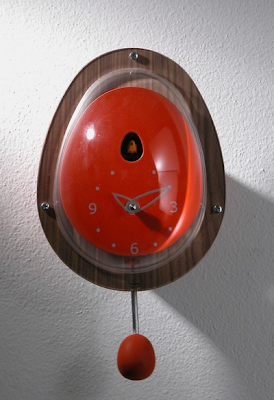 Check out this blog post of some of the most boss interpretations of cuckoo clocks. Reuben - I haven't! I love cuckoos, but I ain't got those kind of funds.